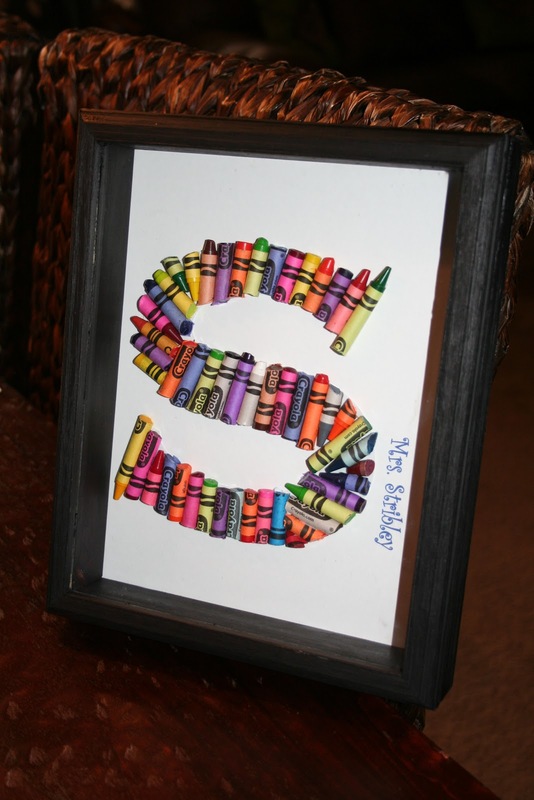 Here is another wonderful gift idea for your kids teachers! Or this might be a fun thing to make for their rooms! This is all over the blog world! But I do have a few pointers..
~ Print your initial in Word or other publishing software on card-stock. 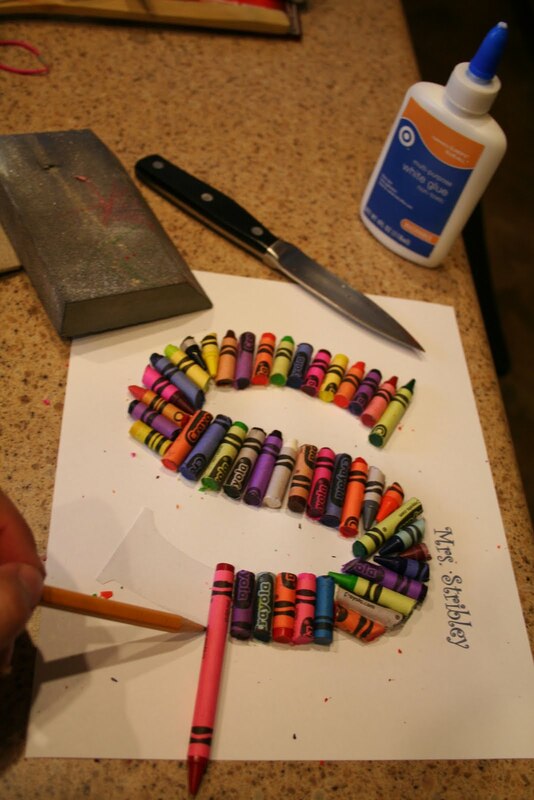 Cut out the letter and glue on your crayons. I used mostly "old" crayons, but I did need a few fresh ones for the tips of my letter. When you are finished, then attach your crayon letter to your card-stock with the teachers name with a glue-stick. This gives you a chance to position it just the way you want with out having to waste paper printing it to get it right in the frame. ~ I got the shadow box from Hobby Lobby with a coupon. It was a light driftwood color. They sold it in black, but it was double the price. If you want black, go with that frame and spend the money. I about pulled all of my hair out painting this black. The glass does not come out, so you have to tape around it. ~You could just use a regular frame, but the shadow box looks really nice! This was a fun teacher gift! So colorful and a good use of things that you might already have around the house! Our Little Fairy Gets Covered! 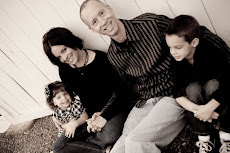 Please visit these web sites that I love!